Parcel touches James O Newton Park. Mount your horse, mountain bike or sport your hiking boots and travel into the Open Space. 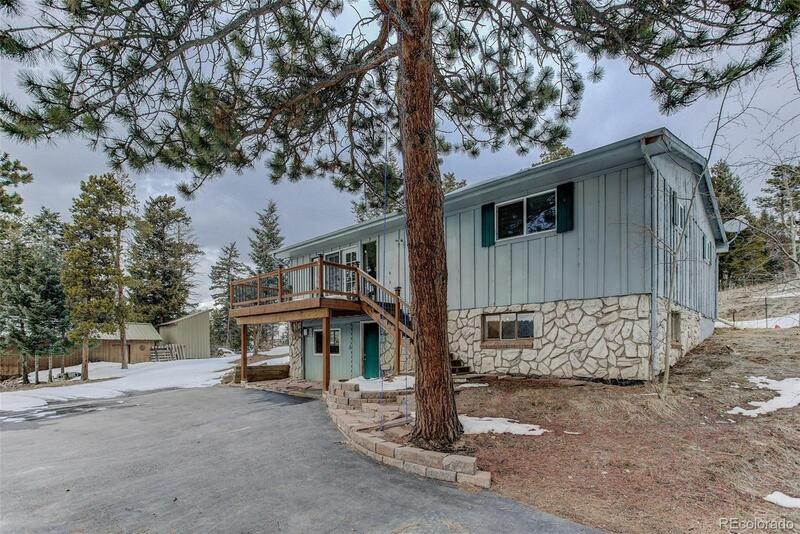 Conveniently located near Jefferson County mountain schools and Conifer shopping. Less than 30 minutes to C-4750 and US Hwy 285 makes this property ideal for Denver commuters. All paved access ad secured with iron gate. Fenced for your horses and the water well provides for them. Hay storage shed, tool shed and old cabin/workshop afford lots of opportunities. Watch the sunset and enjoy the mountain view to the west on new Trex deck. Cozy up to wood stove in open-concept living area. Beautifully updated main-level bath and granite countertops in the kitchen. Bring your creativity and make this close-in charmer your own.